Gillian is a Certified Usability Analyst (CUA) and Search Engine Optimisation (SEO) Professional. 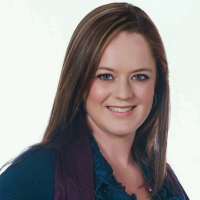 She has worked in the digital industry for 20 years, during which time she has been instrumental in executing business plans and marketing strategies within the online recruitment and online marketplace verticals such as CareerJunction, Jobs.co.za and bidorbuy.co.za. In 2007, she founded BlueMagnet, a performance based digital marketing & training company. The company has trained over 50 of South Africa’s top digital agencies and more than 300 digital marketing professionals, SEO specialists, Web Developers and Designers. Over the past two decades, Gillian has shared her passion for Search User Optimisation at a number of seminars such as the Internet Industry Summit; Web & Mobile Conference; Marketing, Branding & Web Optimisation; Innovative Websites & Intranets; Digital Master Class; The Internet Show; Mobile & e-Marketing (Chairperson); and Social Media in Government, to name a few. Gillian recently appeared in a Carte Blanche interview as an expert in ‘The Connected Consumer’ segment. Her specialist credentials include: Certified Usability Analyst (Human Factors International); Google Partner; Certified Trainer (Digital Marketing Institute, Ireland); Certified SEO Trainer (SEO Certification.org); Post-Graduate Diploma in Digital Marketing (CIM); Certified Social Marketing Associate / CSMA (eMarketing Association); Certified eMarketer / CeM (eMarketing Association); SEO Analyst Certification (Bruce Clay Inc.); and the eMarketing Gold Professional Certification.